That is what Make-A-Wish should really be called, Make-A-Dream-Come-True, because they take a wish and turn it into your dream come true. 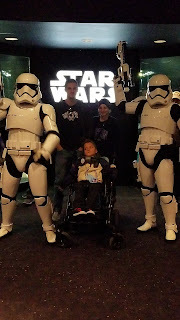 I was told years ago by a friend close to the Make-A-Wish organization that Liam qualified for a wish to be granted. I felt icky about applying because my experience with it was always for terminal children and I felt like I would be taking advantage of the organization. Years passed and I learned more about their foundation. 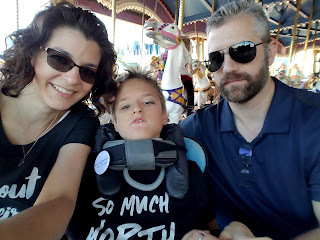 I learned that they grant wishes for progressive, terminal, and life threatening conditions and due to Liam's difficult form of CP, he qualified under the life threatening umbrella. When you apply, you give them your child's doctor and permission for them to speak with them so they get the medical professionals diagnosis and not just your word. Listen, no one wants to qualify for Make-A-Wish. 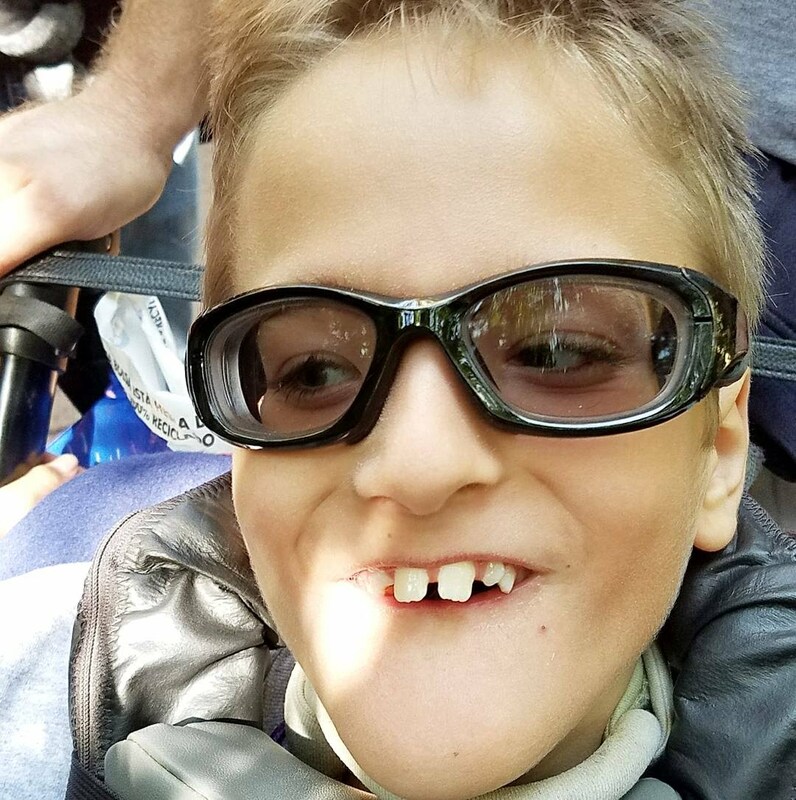 There is something wrong with one of your most precious children in order to qualify and then, even when you qualify, it comes like a sucker punch to the stomach. It's sobering. 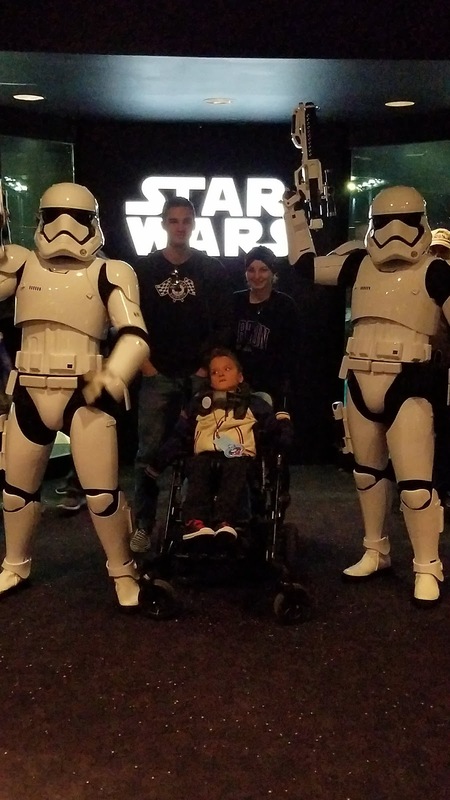 While I was so happy to be able to give Liam a wish....it sucked to know his life is considered threatened enough to qualify. After getting approval you get to help your child make a wish! 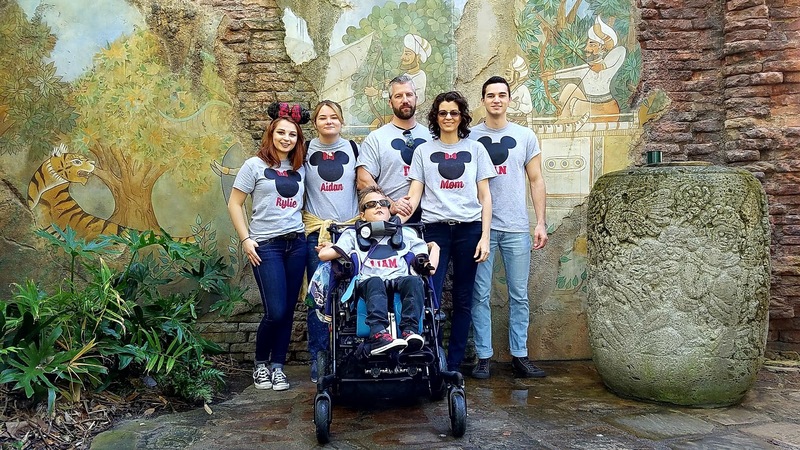 I knew we would want to take Liam to Disney World, to let him see Mickey, to let him experience the magic, to have a real vacation where he could have fun and be a kid in a way that just doesn't happen anywhere else. We have never really had a vacation since Liam was born so a trip to Disney was what we asked for, we wanted this trip to make him feel special. 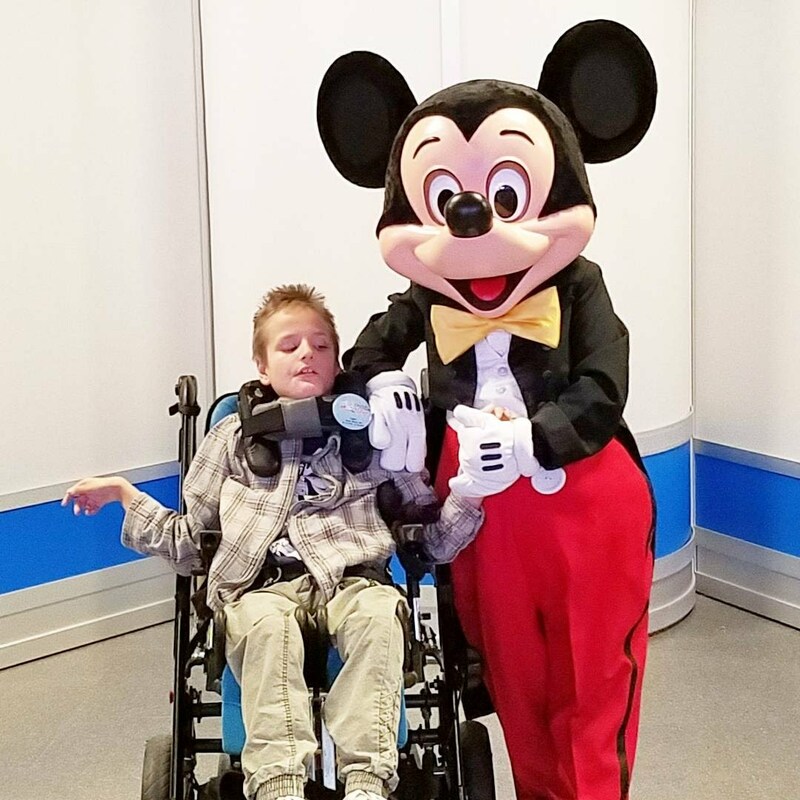 Make-A-Wish covers every detail for the trip. Liam cannot and will not fly so getting there had to be by vehicle so they provided a van for him to get there. Upon your arrival to Give Kids the World, a resort for only wish granted families, you are greeted with a cheery smile, the keys to your own villa, and a once in a lifetime opportunity....to feel normal. I was very nervous on how Liam would do being out of his comfort zone. Liam is a stress vomiter. If he doesn't like a situation, he lets us know by trying to throw up. We can usually keep him from completing his goal but sometimes if he is really stressed he will make it happen no matter how hard we try to prevent it. And taking him to a park with so many new experiences I knew would trigger his stress, however, I completely underestimated my wee guy. He LOVED it! He loved all the people, all the new experiences, and he even loved many of the rides. 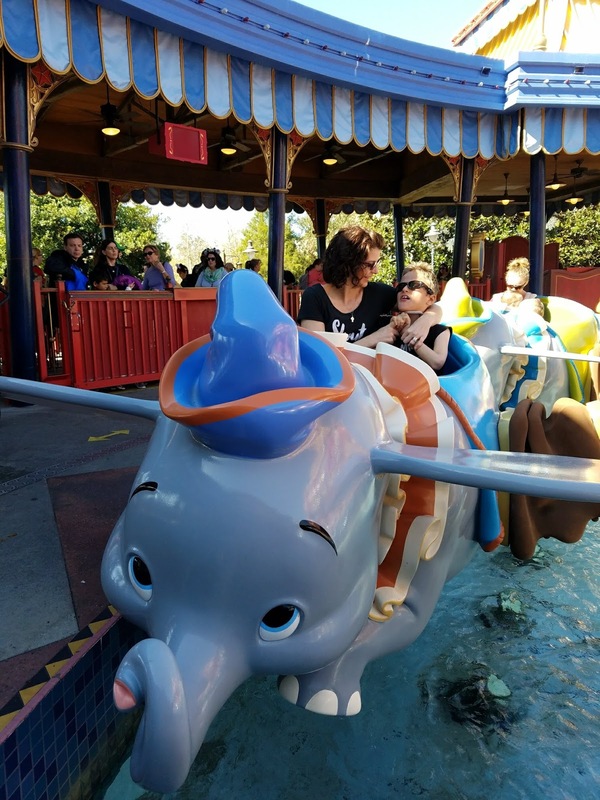 He loved zooming through the parks and being constantly on the go. 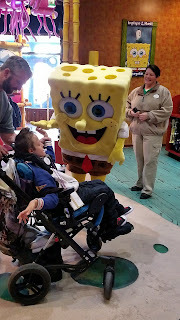 He got to participate in so many fun things, just like a typical kid. He got to see shows, meet the characters, and get the VIP treatment everywhere he went! Now, he did attempt to throw up multiple times but we were able to get him calm as we talked through what he could expect to happen (Pirates of the Caribbean, Haunted Mansion, carousels, Dumbo, etc). 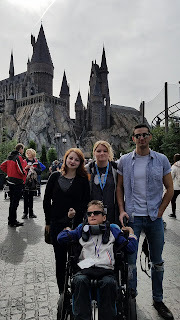 The only "ride" Liam went on thta he didn't immediately start to panic at was The Hogwarts Express. 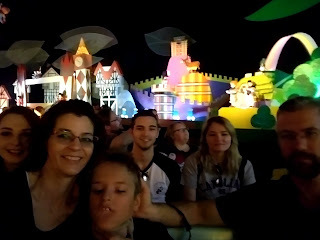 We rode that four times in one day because he really loved it! Everything else took some convincing but then he calmed right down. 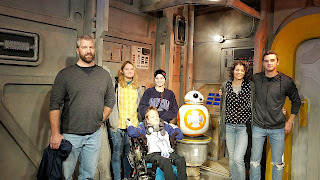 We had such an amazing time as a family getting to hang out all together and not be limited by Liam's disabilities. And one of the coolest aspects of the trip is the resort. They take care of everything. You do not have to worry about one thing. They have a full breakfast, activities through out the day and night, and even if you spend a full day at the parks, when you come home they deliver dinner to your door! They have miniature golf, a carousel, pool, train, games, a castle, and all of it is accessible. It's a special needs family dream come true. 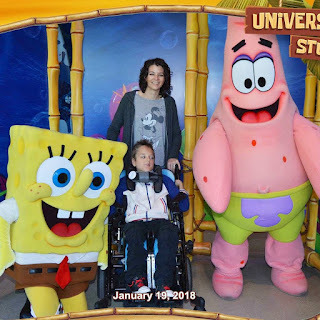 This trip was also very special for our family because it signified a big change. Our oldest son, Ian, was shipping off to boot camp two days after coming home. The trip allowed us to enjoy each others company and not sit around dreading the day he had to leave. God's timing is always perfect as we were supposed to go in October and it didn't work out. We had such an amazing vacation getting to make magical memories that were definitely a once in a lifetime opportunity. We were blessed for sure.